On Sunday 17 August I took part in the 2014 Kei’un-kai, INI Memorial Taikai performance, a collective recital in which a great number of Udaka Michishige’s students performed dance and chant excepts, as well as full Noh plays. This year’s highlights were the Noh Atsumori and Funa-benkei. 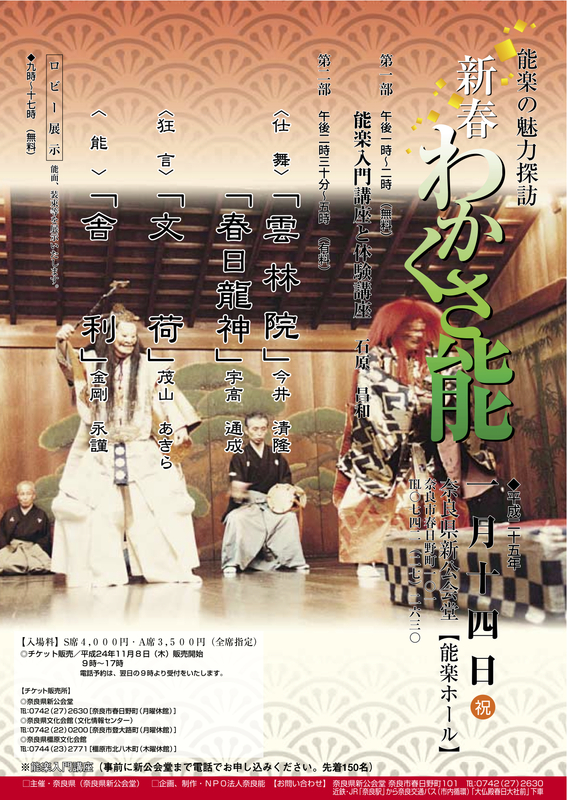 As for me, I danced the maibayashi from the Noh Tōru, featuring a godan-hayamai, an instrumental dance in five parts. I enjoyed performing in an environment that is becoming increasingly more familiar to me. Everyone has been extremely supportive during the preparation and on the day of the performance. Oddly enough though, the most difficult performance of the day was singing in the jiutai for a cluster of seven shimai (dance excerpts at the accompaniment of a chorus of four). They were all basic pieces (Tsunemasa kuse, Yashima, Momiji-gari, Kochō, Yuki kuse-kiri, Hagoromo kuse, Kakitsubata kiri), but this was my first time in such a formal situation. In the case of a shimai, four jiutai singers are sitting at the back of the stage, facing the front. 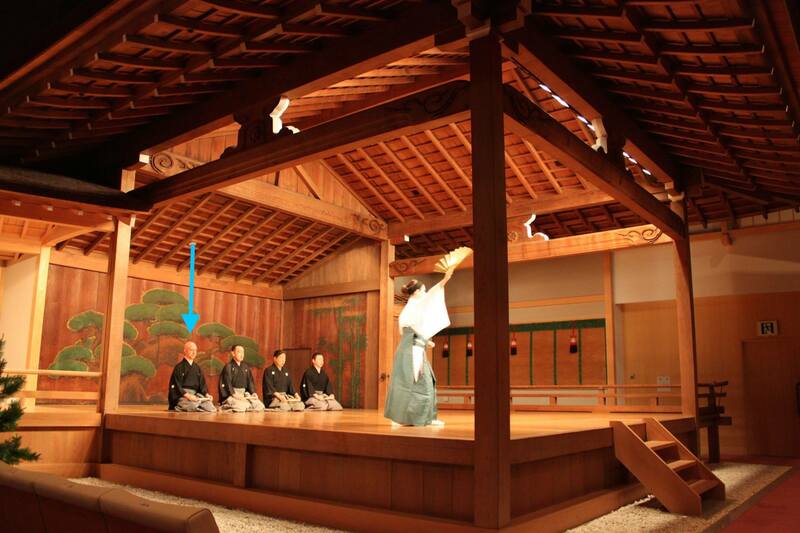 I was in the lowest ranking position (A in the drawing), upstage right, which is coincidentally the most difficult to be in: it is the furthest from the jigashira (chorus leader, sitting in position C in the drawing), and the closest to the waki-shōmen side of the stage, where the audience is sitting and can hear your voice clearly: not a comfortable place for a beginner. In addition, the way jiutai is sung for shimai is different from the way it is performed for a maibayashi or for a full Noh. It is not easy to explain all differences, but generally speaking a jiutai for shimai is ‘lighter’, often quicker because it is not forced to respect the extension of syllables regulated by the rhythm of the drums, and all pauses (ma) between verses. 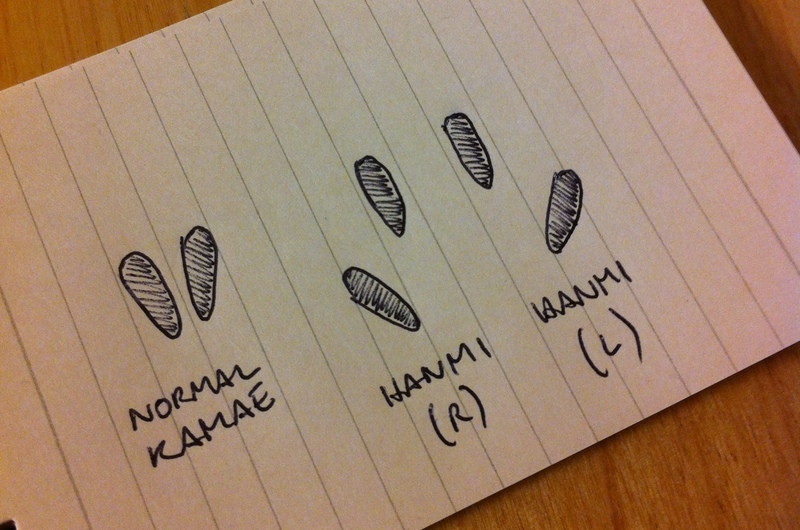 This is particularly evident in hiranori chant type, in which twelve syllables match an 8 beat rhythmical pattern. It is less evident in chūnori and ōnori, where the syllables subdivision is more regular and a certain set rhythm has to be maintain. The way jiutai chant for shimai is performed does not depend on the jigashira’s extemporaneous feeling. It maintains a rhythm that all four chanters have to follow, but should not be sung ‘as if’ drums were there, or it would result in a boring, predictable recitation. Chorus of sole amateurs or novices often end up singing this way. In a professional shimai jiutai, notes are often shortened, and the speed is generally faster, but it maintains a certain jo/ha/kyu. Talking about this with Udaka-sensei the other day, he confirmed that in order to sing well in a shimai jiutai, I would first need to master utai with the percussions, then I will be able to understand better the utai for shimai, which definitely stands at a higher level of expertise. Now that I have learned my first godan dance, I will continue to research progressively challenging mai (instrumental dances). My next assignment is the maibayashi from the Noh Kantan, a beautiful piece featuring the gaku, a stately dance characterised by many hyoshi or feet stamps. 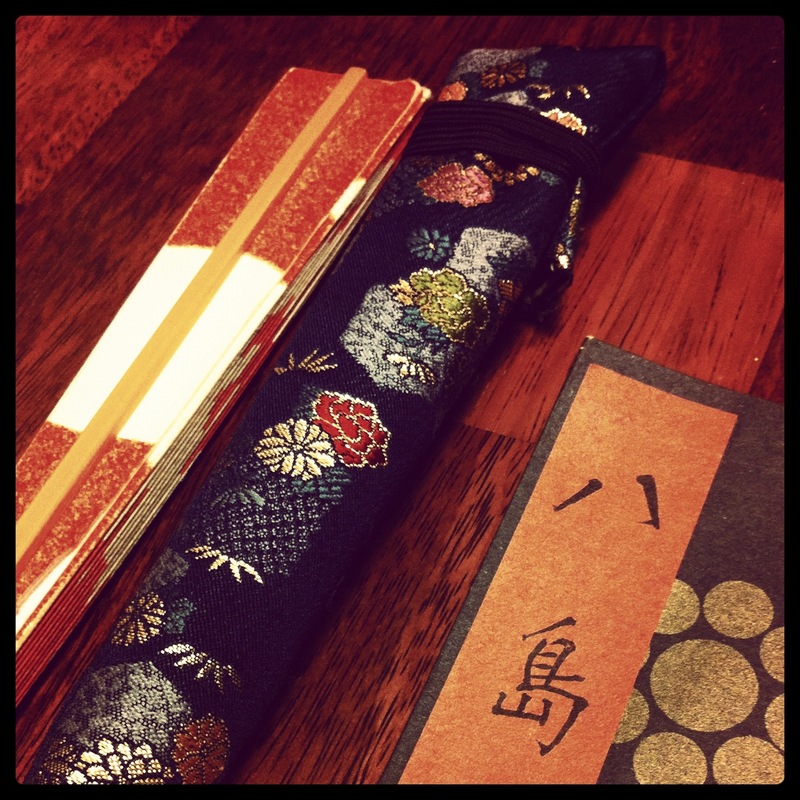 At the same time, I will continue studying various ji-utai for Noh that other people will perform as shite. It will be important for me not only to learn how to sing, but also to deepen my understanding of rhythm. 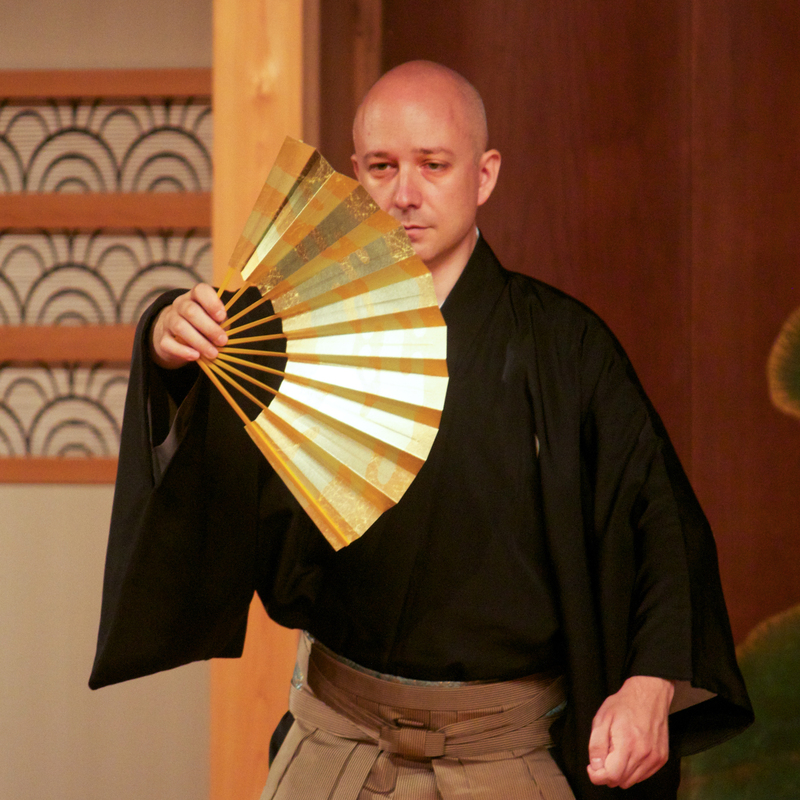 Please join us at the Kongo Nohgakudo for an opportunity to experience Noh in a variety of forms: shimai, dance excerpts; Maibayashi, dance excerpts with the accompaniment of the Noh ensemble of instruments as well as the chorus; Rengin, concert style performance of a Noh excerpt performed by students in formal kimono and hakama; and 3 fully costumed Noh performances each day. • Descriptions of the content of each piece will be available in programs provided in English, French, German and Italian. • The recital is free of charge and open to all. We look forward to seeing you at the Nohgakudo. 仕舞 Shimai dance excerpts in formal wear performed to the accompaniment of a small chorus. 「胡　蝶」KOCHO ‘The Butterfly’ shite: Cristina Picelli. Noh:『清経』KIYOTSUNE Shite: Diego Pellecchia Tsure: Monique Arnaud. Rengin concert-style recitation of an excerpt from a Noh. Rengin concert style recitation of an excerpt from a Noh. *Feel free to come and go quietly as you please during the recital. *Be sure your cell phone is set on silent or manner mode. *You may take pictures, but the use of flash is strictly prohibited. *Please enjoy the tea and sweets provided. They serve us loyally performance after performance, stage after stage. 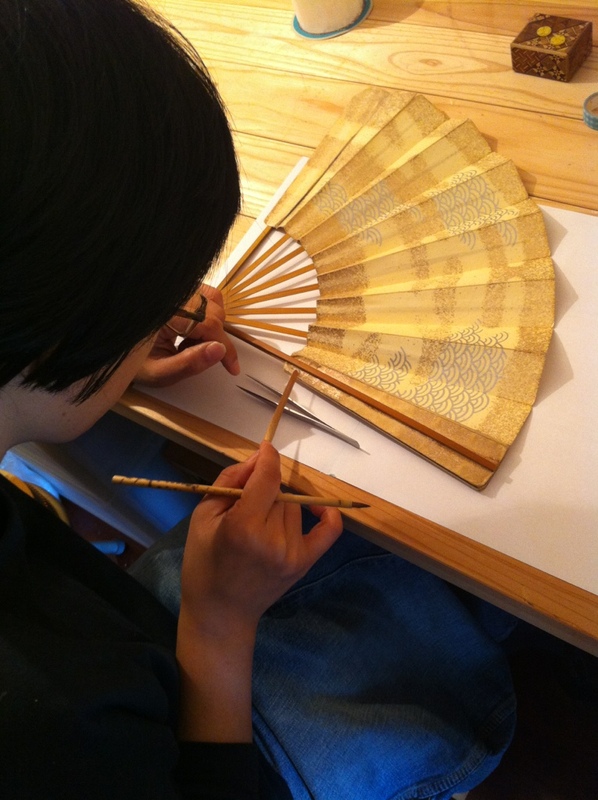 ご苦労さん！In this picture Hea-Kyoung is glueing back a loose slate to the paper (thank you!). 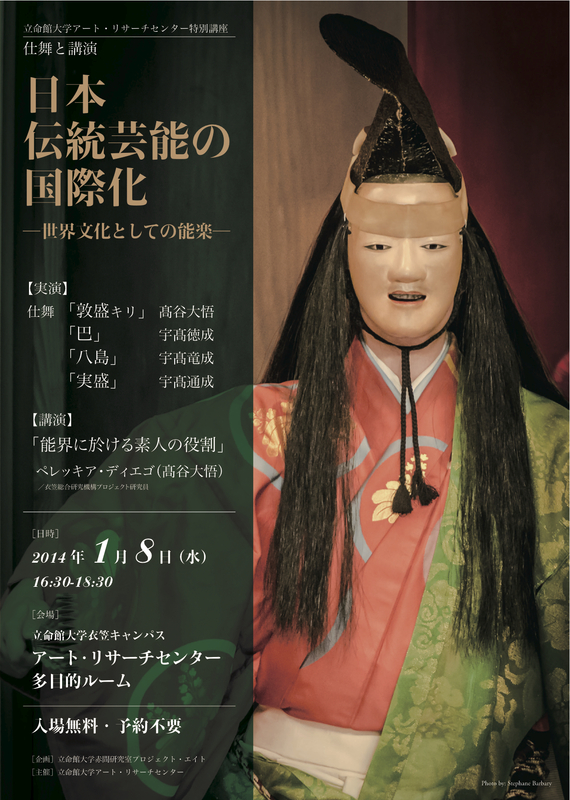 Just a quick note to signal the Shinshun Wakakusa Noh on January 14th in Nara (Prefectural Public Hall). 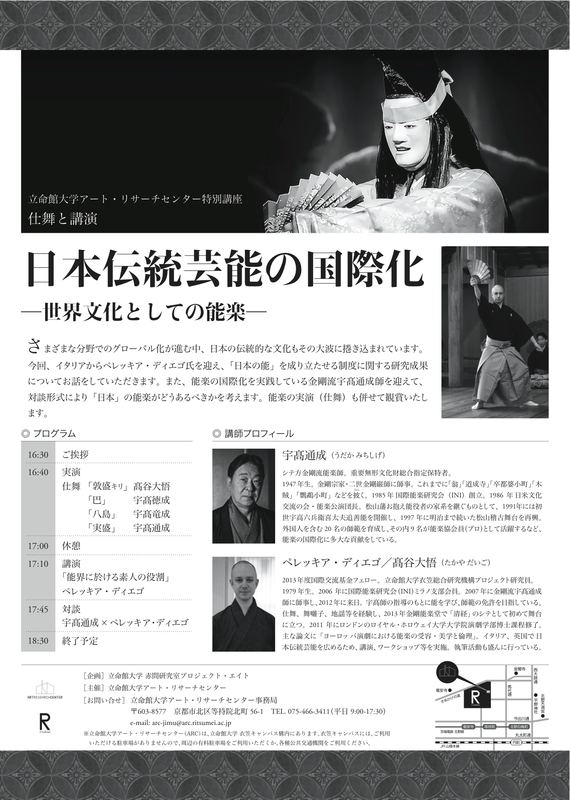 The Oiemoto Kongo Hisanori will perform the Noh Shari (a very dynamic play in which a demon tries to steal the relics of a Buddha, only to be chased and chastised by the god Idaten) while Udaka Michishige will perform the shimai of the Noh Kasuga-Ryujin (‘The Dragon-God of Kasuga’, almost a site-specific piece!). Details here (in Japanese).